Melt the chocolate & butter over a low heat, when smooth and silky stir in the egg yolks. Bring to boil the cream, milk and sugar, allow to cool off and stir into the chocolate mixture. This will take a few minutes to completely combine. Pour the mixture into tiny cups or glasses (this is very rich, so portions should be small) and then leave at room temperature to set. 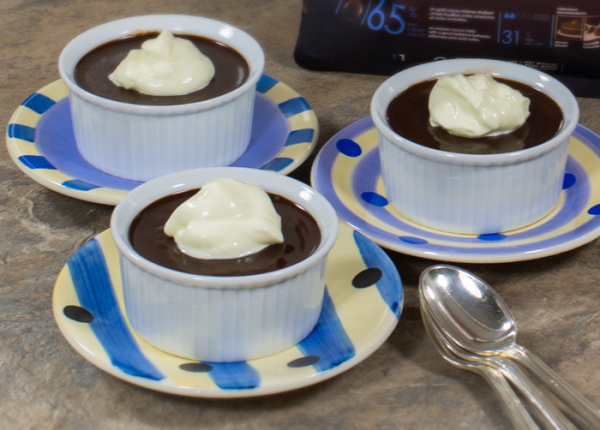 To serve - pop a dollop of extra thick cream on each serving.